Great location!! 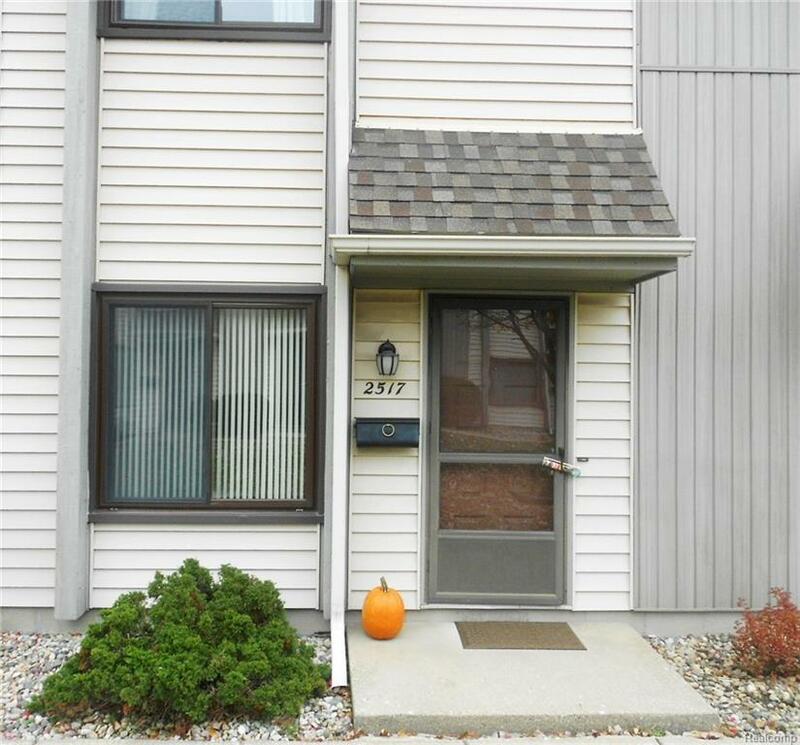 Take a look at this charming 2 bedroom, 1 1/2 bath private entrance townhouse condo. Located in Royal Oak near Birmingham, Troy and Clawson. This clean well maintained unit features a large eat in kitchen with plenty of cabinet and counter space, and Maytag appliances. The 1st floor also boasts a large living room with a natural fireplace, a 1/2 bath and a door-wall leading to the private fenced yard. The 2nd floor has two large bedrooms with large closets, newer windows, and a sparkling clean bathroom with a tub and shower. 2nd floor also features a built in washer dryer combo. Other features include TWO covered carports, newer windows, hardwood flooring, and a 2 year old furnace. You will be surrounded by tranquil parks, grocery stores, restaurants, and an outstanding hospital. The low monthly fee included water and all exterior maintenance. All this and immediate occupancy is available, make your appointment today!